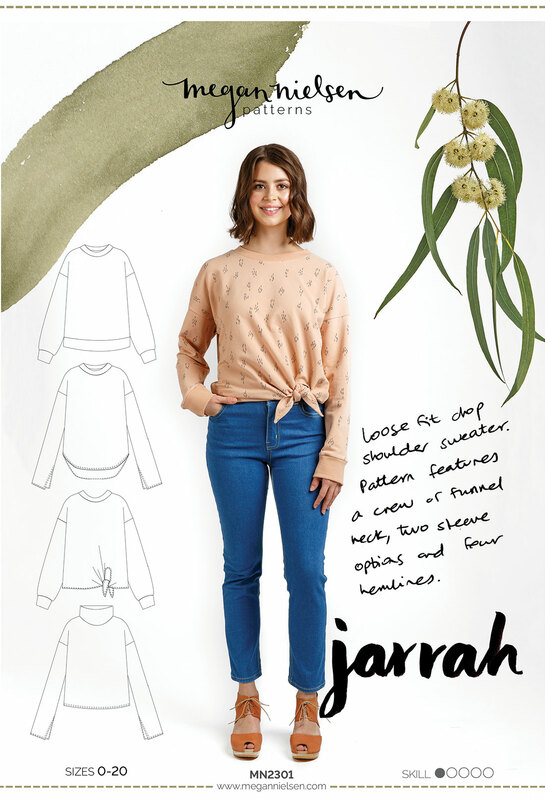 Last but not least – let’s do the tie hem on our Jarrah sweaters! If you are making View C, the time has finally come to finish your top, and this post is just for you! 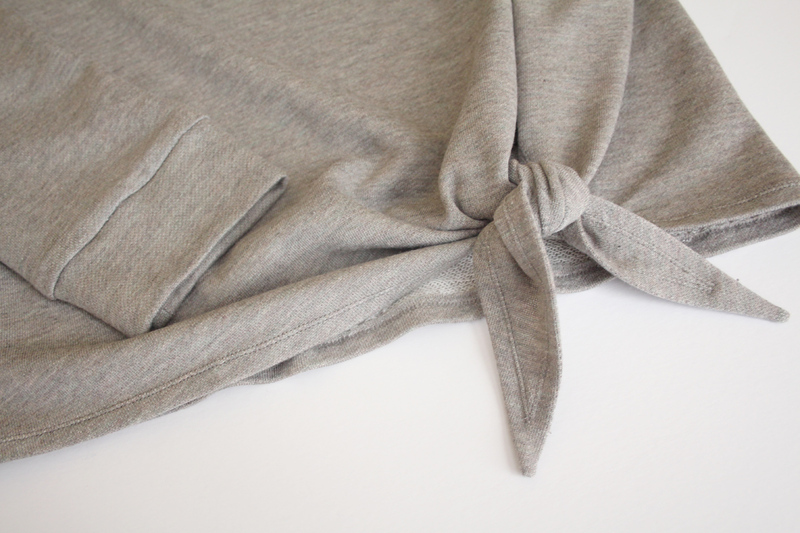 The details of this hem may seem a little intimidating, but it’s really not bad at all. It’s my favourite of all the hem options. 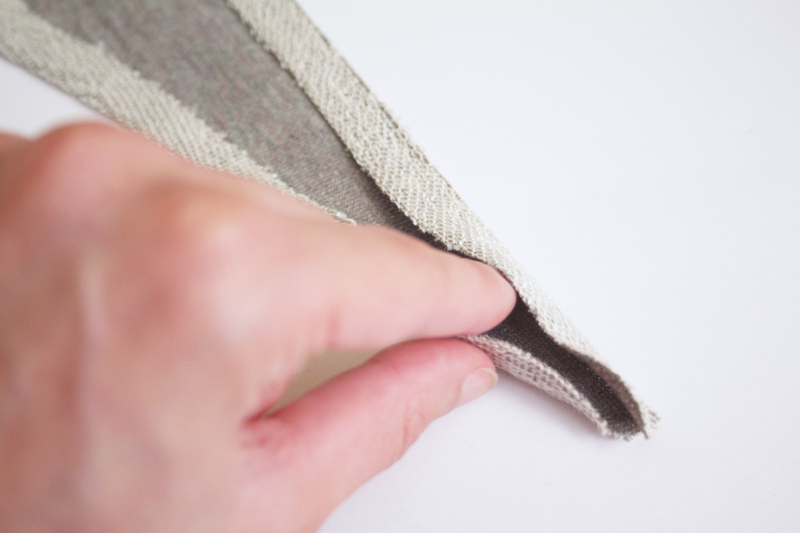 We’ll go over how to get around that little curve, as well as some options for finishing the tie points – including mitered corners! Let’s just get to it…. 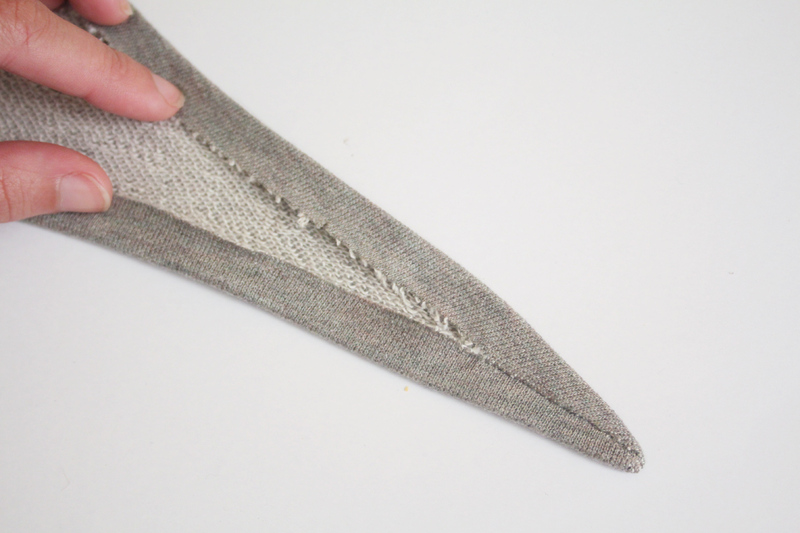 Using a long stitch length, baste around the inner curved edge 1/2″ from the edge. Just around the curve, you don’t have to go any farther down. Clip into the curve at 1/2″ intervals. This was about 5 clips for me. 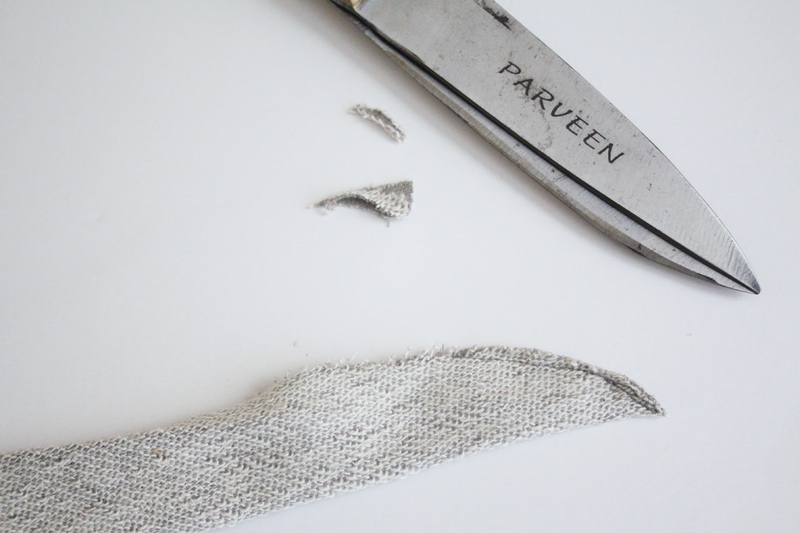 Be careful to clip up to, but not through, the basting stitches. 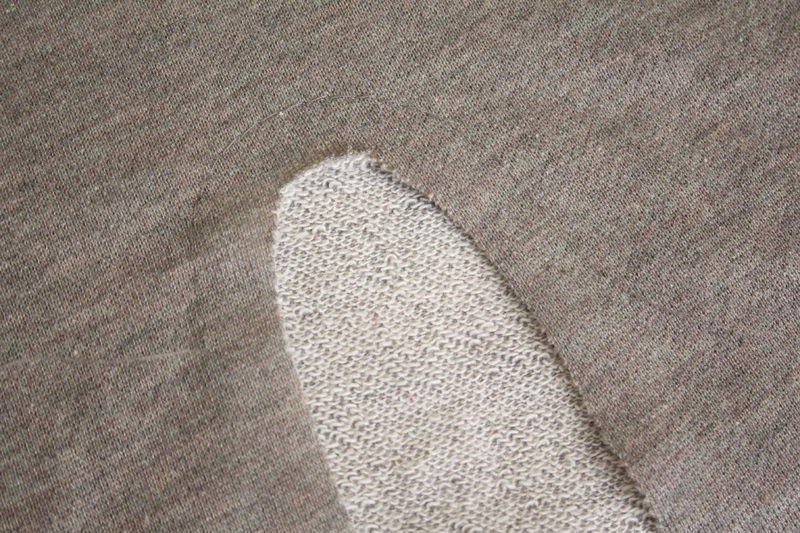 Turn the clipped curve in towards the wrong side along the basting stitches, and press. You can see how the clips help the curve fan out and create the smooth edge. 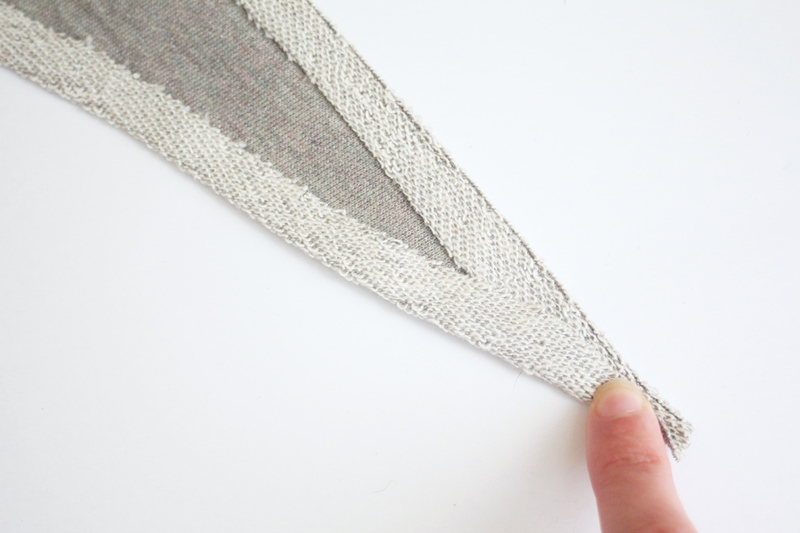 Continue turning under the rest of the hem by 1/2″ inch, pressing as you go. 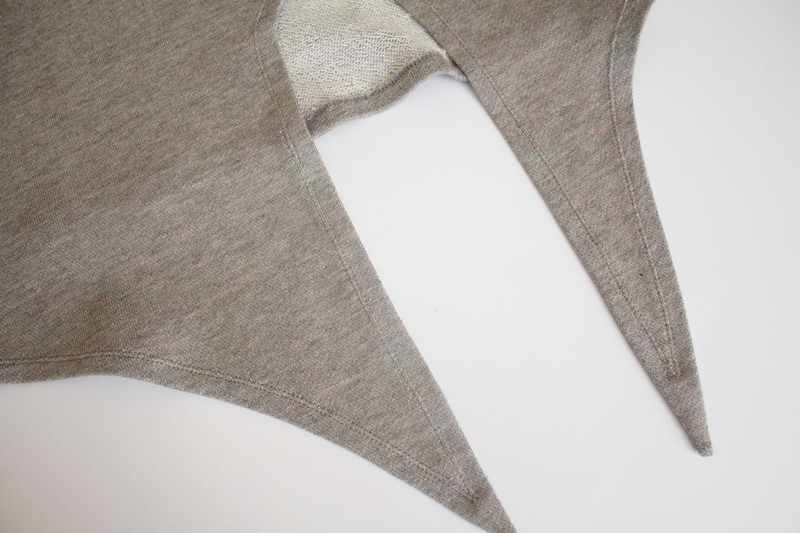 You can simply turn in both sides by 1/2″ so that it overlaps at the tip. You’ll have a little excess at the tip beyond where it overlaps. Simply trim it off. 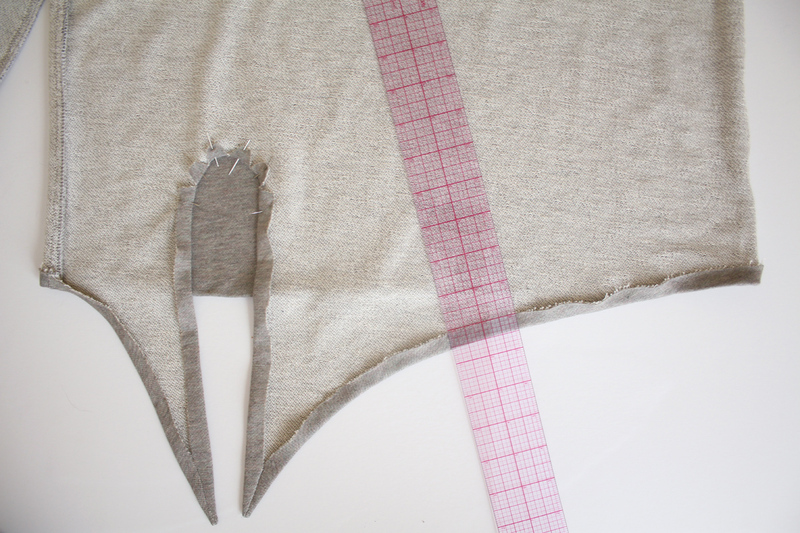 Temporarily turn the 1/2″ hem around to the wrong side – towards the right side of the fabric. Let the tip overlap. Press well. 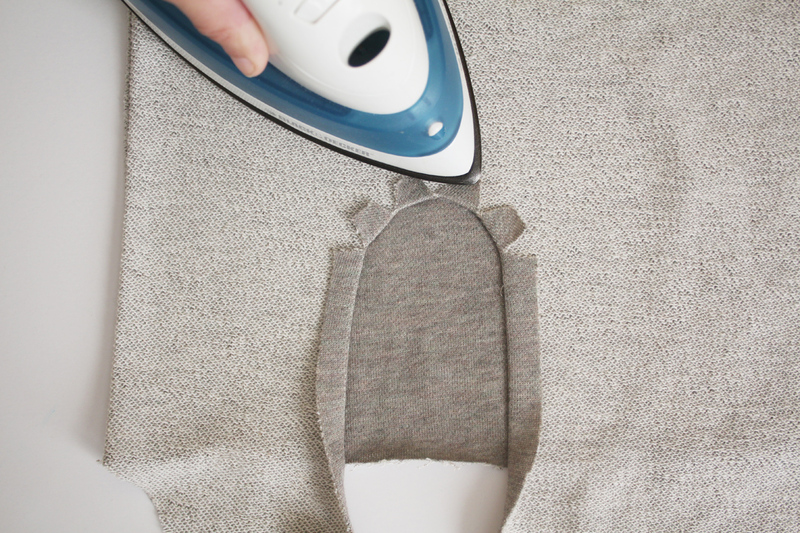 You only have to do this at the tip, not the entire hem. 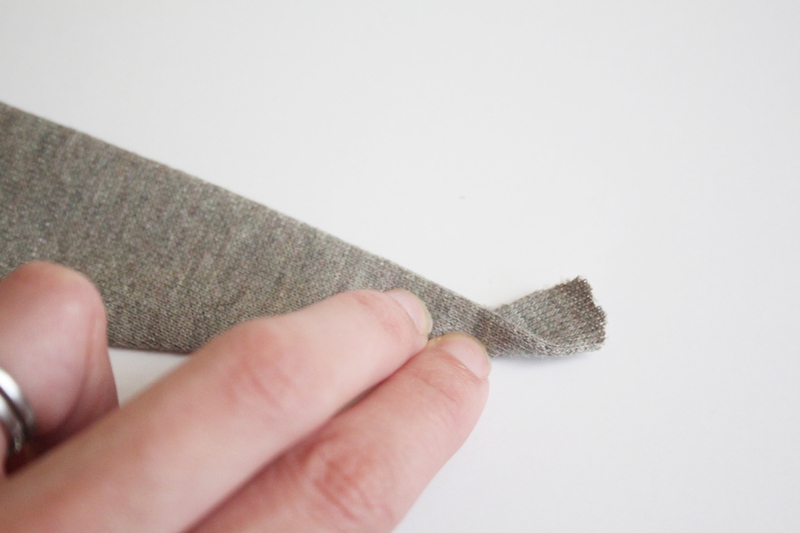 Gently open the overlapping tip with your fingers, and then pinch the two layers of fabric together. Theres no specific measurement or guide to help you with this. You’ll just know as you feel it. 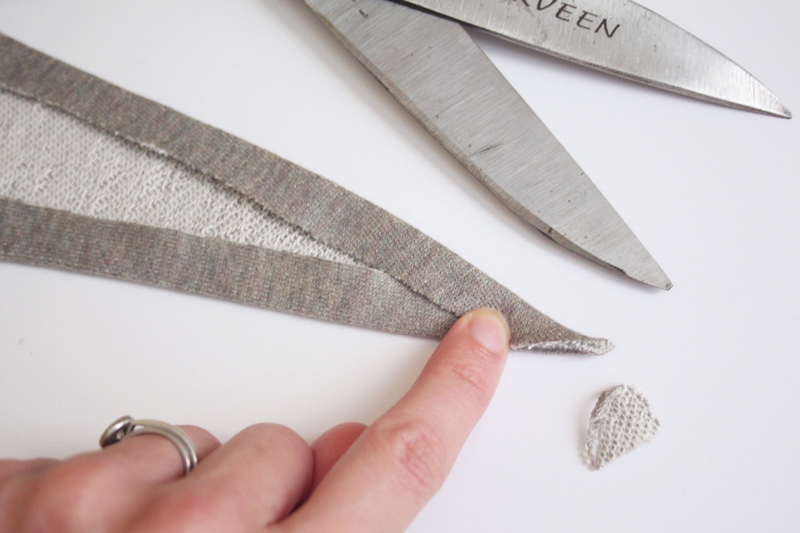 Pinch it together until you feel it lie flat against the other layer. 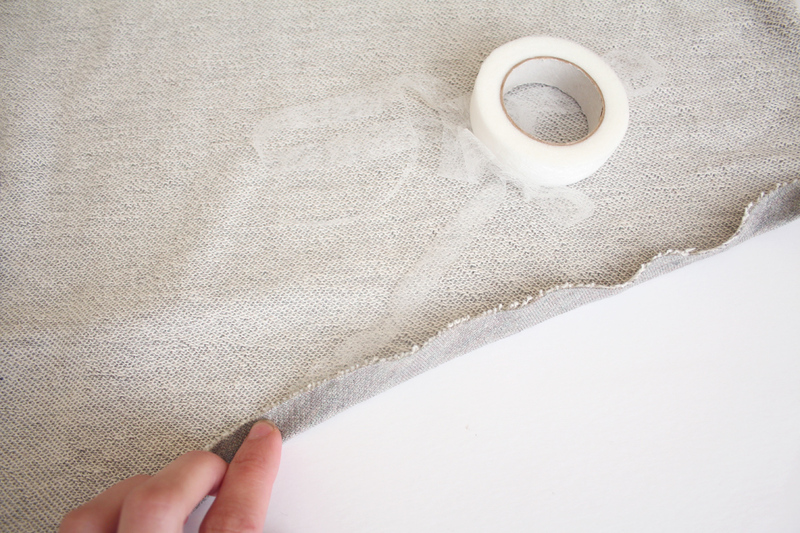 Pin along where you’ve pinched the fabric. This creates the angle at which you need to sew. 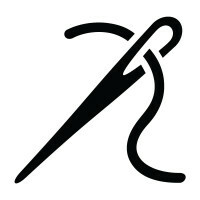 Sew along the line you have pinned. As you can see – mine ended up being a bit of a curve. Turn the seams back towards the inside. 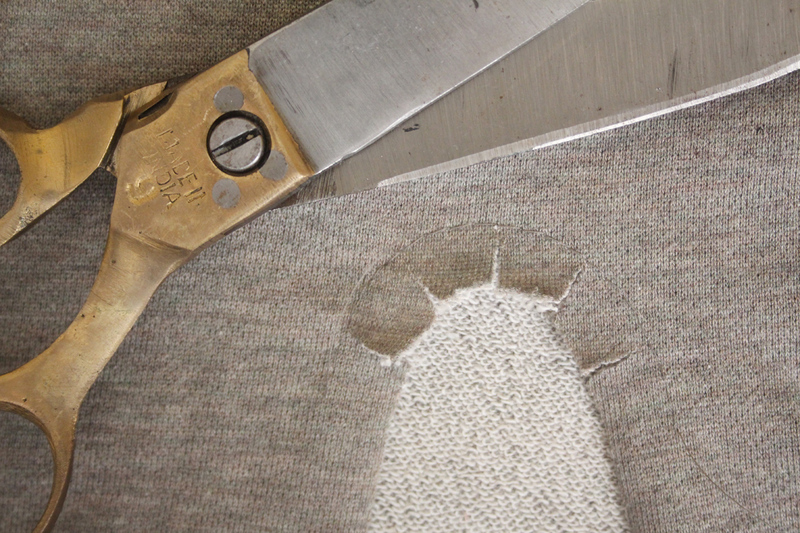 Use a point turner to get the perfect point at the tip. Press again. As you can see, there’s now a seam down the middle of the tip. This creates a nice clean finish, instead of having overlapping pieces and exposed raw edges. I would suggest maybe practicing this first on scrap fabric. Its important to understand how to get the right angle. If you don’t get the right angle, it won’t lay flat when you turn it back right way around. 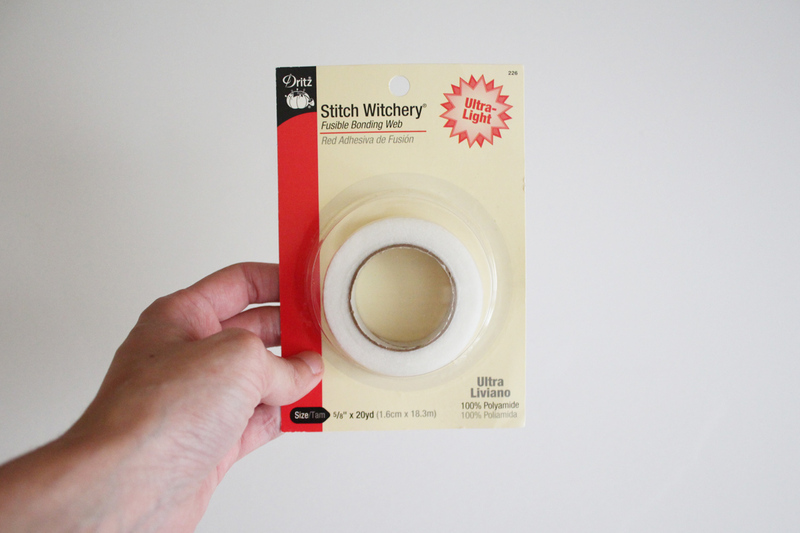 Just like with the curved hem I showed you a few posts ago, you can choose to (or not to) use a fusible hem tape like Stitch Witchery to stabilize and hold your hem in place before topstitching. Just sandwich it in the folds and iron using the directions. 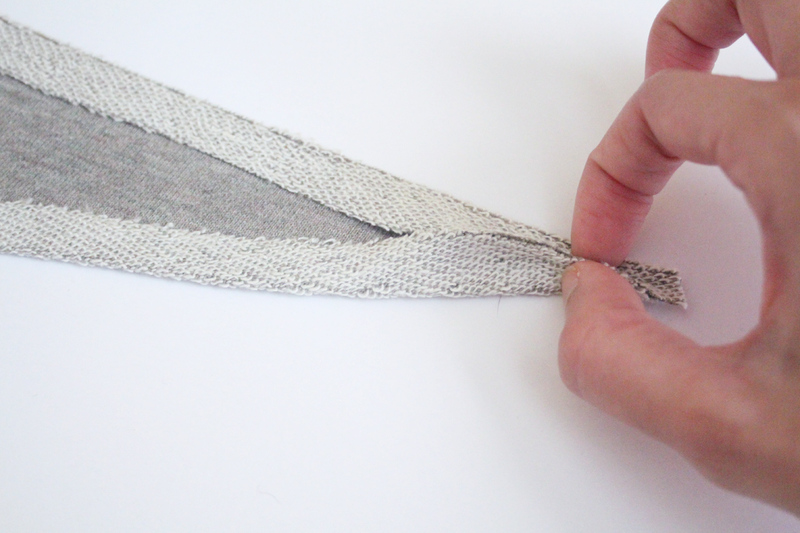 Do this along the entire hem, including the inner curve and tie tips. 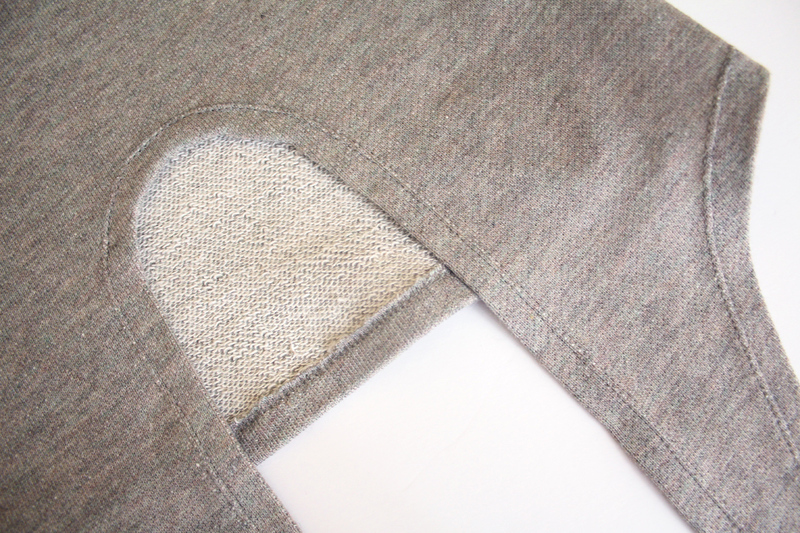 From the right side, topstitch around the entire hem edge, front and back, using either a zig zag stitch or twin needle. 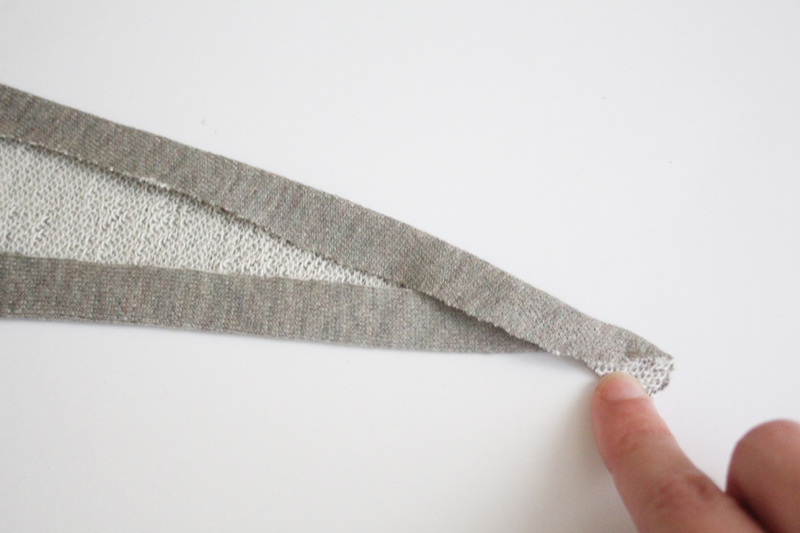 Do this in one continuous stitch, pivoting at the tie tips, and carefully manoeuvring around the curve. Thats it! How great does that tie look all knotted up?! Hi! 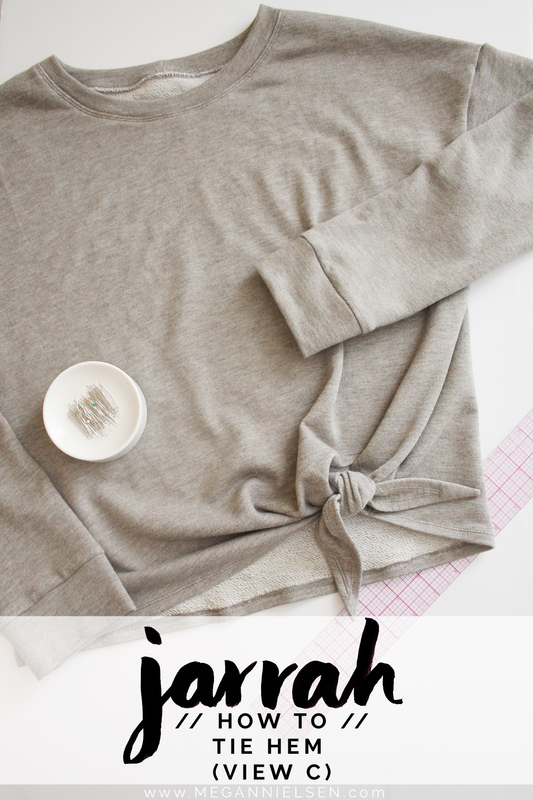 I love the Jarrah Sweater and have made 5! 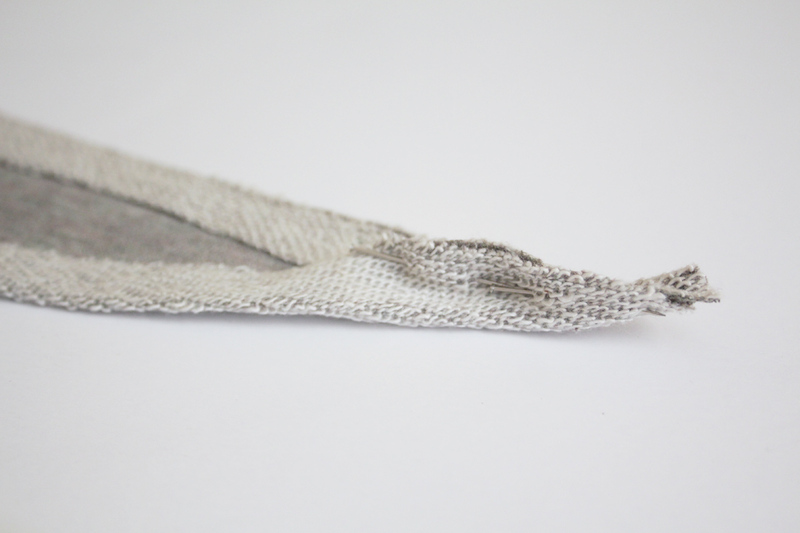 I love the suggestion about using stitch witchery or washable quilters tape on the hems, but the few times I tried this, my needles got so sticky that they started skipping stitches. I wiped them with some alcohol, but every few inches they would get sticky again. This seems to be a really popular method, so I feel like I must be missing something. Thanks!